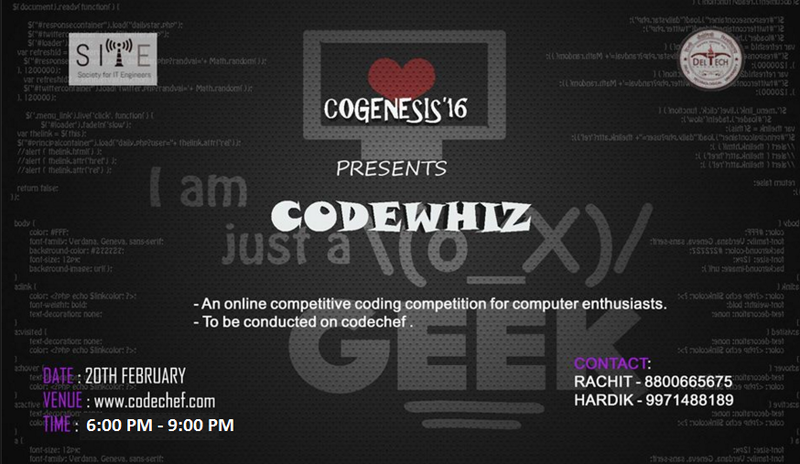 Organiser: The contest is hosted by Delhi Technological University. Please contact tezaswy.singh@gmail.com for any queries during the contest. The problem statement WT20 has been rejudged.Sorry for the delay.